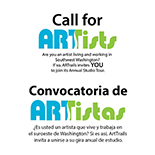 Now is the time to make plans for ARTrails Annual Studio Tour. 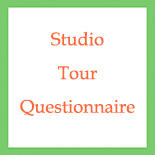 Join us for our annual studio tour the third and fourth weekends of September. The tour opens with a Gala Reception Friday evening before the start of the tour at the Exhibition Gallery in downtown Centralia’s Historic Train Depot (210 Railroad Avenue, Centralia WA), where each participating artist has one piece of art on display. 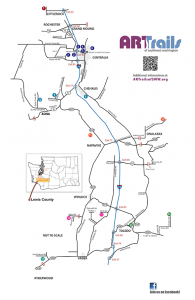 Gather a carload of friends, share the gas, find your favorite pieces of art, and discover Southwest Washington. This is a road trip! Plan to spend a delightful fall weekend driving through the region’s historic communities and meandering along back roads. Enjoy an amazing diversity of art forms and media, talk to the artists, and watch them at work in their studios. Our artists express themselves in a variety of ways: painting (pastel, oil, acrylic, watercolor), sculpture, glass, jewelry, pottery, mixed media, fiber art, carved or turned wood, basketry, enameling, collage, metal, and cement. Click the Cover Image on the right to view the most recent Studio Guide. You may also find our Tour Guide in many fine establishments in Lewis County and many surrounding counties – and 34 countries if you happen to be traveling abroad. The new Studio Guide with a map and photos of each participating artist’s work, is usually available in August.